China has been a good friend of Africa for many years. The country played a very important role during South Africa’s struggle against the apartheid government. Good relations between China and South Africa were strengthened in recent months. In January 2006, China adopted its ‘African Policy’. In June 2006, the two countries signed the first formal friendship agreement at the China-South Africa Business Co-operation Forum in Cape Town. At the forum Deputy President Phumzile Mlambo-Ngcuka thanked China for supporting the liberation movement and helping to promote peace and stability in Africa. She said China had been a true partner of Africa. 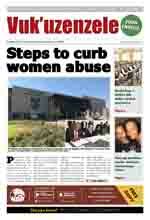 "South Africa will continue to strengthen ties with China. The development of China’s economy will benefit South Africa and the whole of Africa," Mlambo-Ngcuka said. She called on business owners to support the relationship between the two countries because it would create jobs and business opportunities. Concerns about China’s textile and clothing exports to South Africa, have led to talks between the two countries. China will sign an agreement with South Africa to limit its exports of clothes and textiles to this country. In line with the agreement, China will help to train South African technicians in the clothing and textile industry. China will also encourage its clothing companies to make direct investments in South Africa. 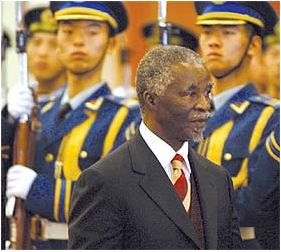 The friendship between the two countries was further strengthened when President Thabo Mbeki visited China last year. Mbeki attended the Forum on China-Africa Co-operation in Beijing with some senior cabinet ministers.